Bus routes are the most widely represented in the city - they are more than fifty in Vitebsk. Thanks to this kind of public transport in Vitebsk you easily get around the city. Buses numbered 26 operate on the longest city route, the length of which is almost 33 kilometres. Bus number 5 overcomes its route faster than anyone - to get to the finish line, it is enough to drive 2.5 kilometres only. Route number 10 is the most popular and, as a consequence, the most profitable – it makes 178 rides a day! If you wish, you can reach the bus and railway stations by bus. Buses with numbers 1, 2, 2A, 3, 4, 5, 5A, 7, 8, 10, 13; 13A; 14, 22, 24, 26; 26A; 28, 33, 34, 35; 36, 38, 40, 43, 44, 99, 101 deliver passengers to these transport hubs. 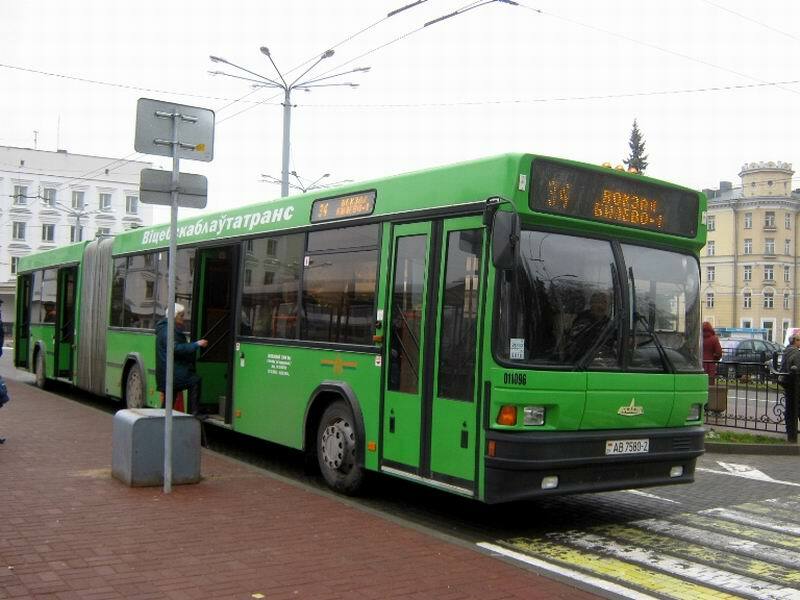 Many bus routes run through Vitebsk significant landmarks of the city. Most of the bus routes lay near historic Liberty Square. If you have time, come out, take a walk on the square. After all, its location is unique - it is situated in the former Lower Castle. There are many historical buildings and sights of Vitebsk, including the Summer Amphitheatre, the City Hall, the Art Museum, the Tower Exhibition Room "Dukhovskoy Kruglik", Drama Theatre located nearby. Two stops from Liberty Square you can see the largest in Europe - Victory Square, impressive for its grand size and modern look.